Find out how to make these beautiful homemade Christmas ornaments for your Christmas tree! 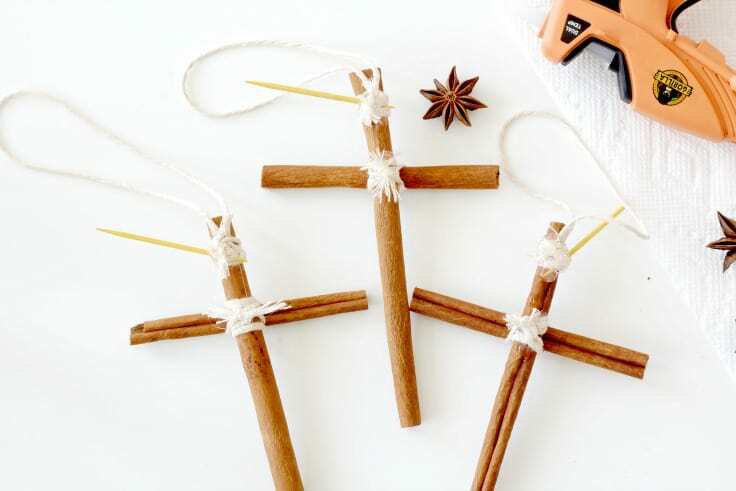 These homemade ornaments are made from cinnamon stick crosses with an anise star and smell totally amazing. Hello Kenarry readers, this is Marissa from Squirrels of a Feather with a fragrant project to beautify your Christmas tree; homemade Christmas ornaments made from cinnamon sticks and anise! 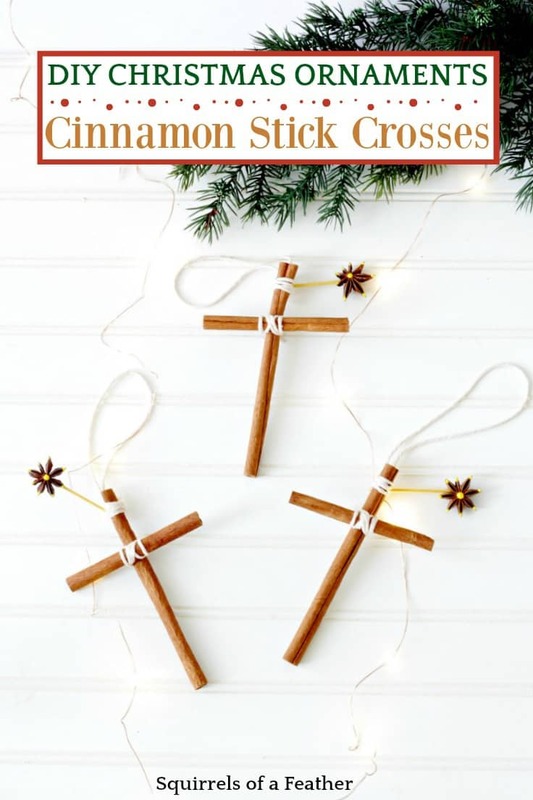 These cinnamon stick crosses couldn’t be easier to make. 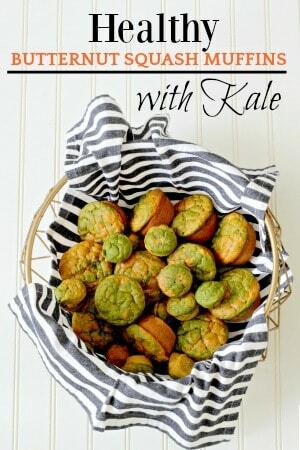 Let me show you how to make them! The best Christmas ornaments are the ones you make yourself! 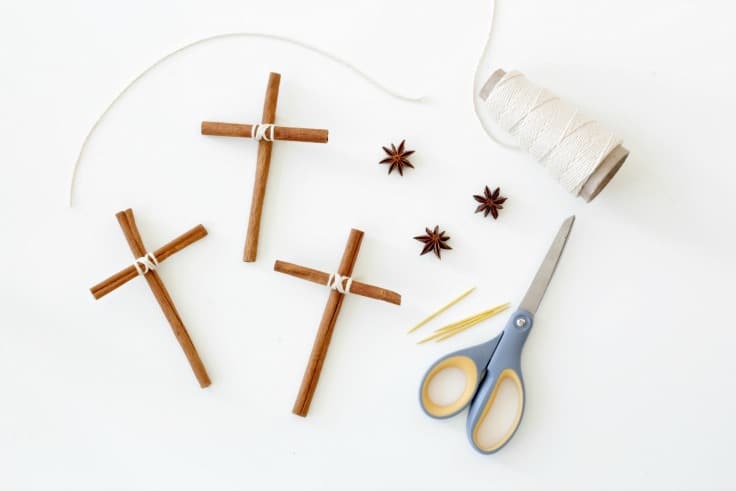 These homemade Christmas ornaments feature crosses made from cinnamon sticks, with an anise star decorated with puff paint that will make you think of the Star of Bethleham. I like to have the color of the toothpick match the puff paint I placed on the stars, but you don’t have to use the same colors! You can choose any colors you want and mix and match, if you like. I highly recommend that you use the cotton twine link I provided — you can use it for everything from arts and crafts to tying up your turkey for Thanksgiving! It’s very high-quality twine (no fraying like other twines) and soft as butter! If you have kids (like me) a cookie sheet to place your ornaments on while they are drying is great to help move them quickly and store them in out-of-reach areas. Craft smart! 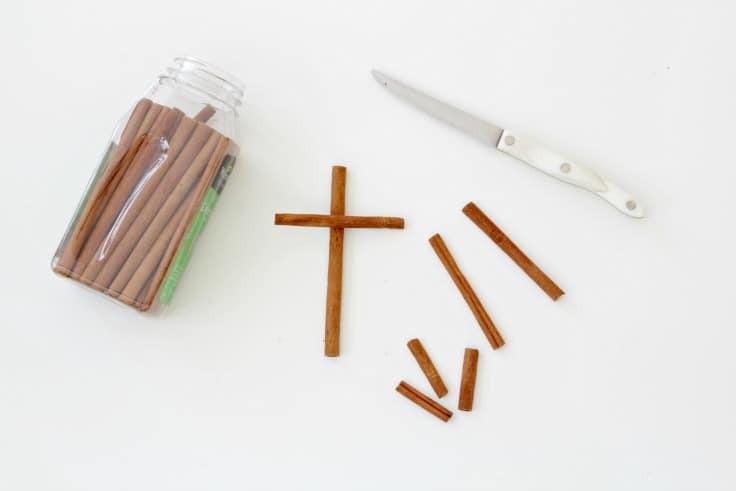 Take a cinnamon stick and measure the length that you want the part of the cross that goes across the top to be. Mark and cut it CAREFULLY at the mark. Go slow, otherwise you risk cracking the cinnamon stick. Reserve the small, cut-off cinnamon stick pieces for cooking or other crafts. Cut a length of cotton twine, about as long as your fingertips to your elbow. It is better to have too much than not enough! I found it easiest to tie them by placing the length of twine down first, placing the small cinnamon stick on top, then the long one on top of that. We want our twine to make a nice “|X|” in front. To tie, cross the twine in front, loop around the back, twist once, then cross the front the the opposite direction. Once you have made the “X” in the front, take the twine in the back and loop one side over the top of the small stick and the other bit under the other side of the cinnamon stick. That will give you the “| |” lines that you see on either side of the “X”. 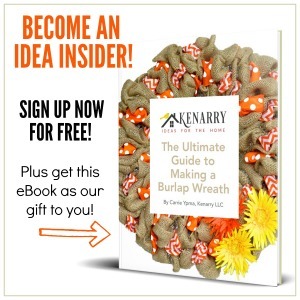 Cut a generous length of cotton twine and measure how long you want the loop to be at the top. This will be the part that hooks the ornament on the Christmas tree. About once around the hand seems to be a good size, but you want some extra length hanging off afterwards, as this will be the part that ties onto the long cinnamon stick. Tie a knot at the length you want the ornament loops to be and then using the two extra pieces that hang off, wrap them around the very top of the ornaments and tie at the back. See the tied twine at the top? 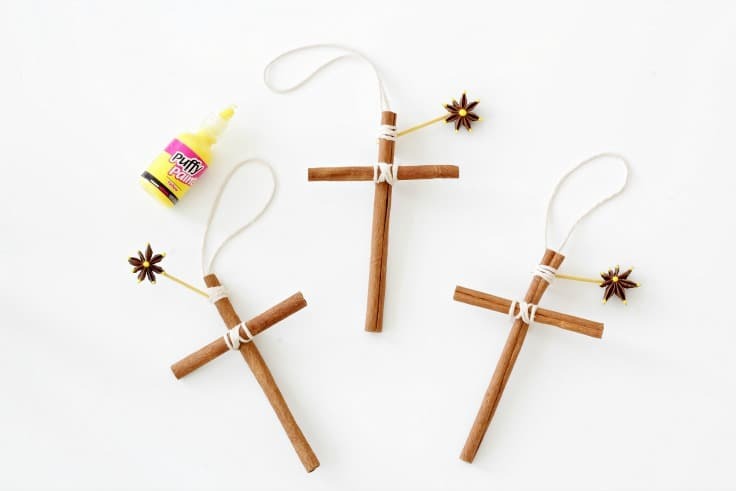 After tying the strings on the back, insert the toothpicks through the twine on the BACK of the crosses. It will be at the top part, where the hanging loop goes. This way, the star looks like it is shining down from high in the sky! 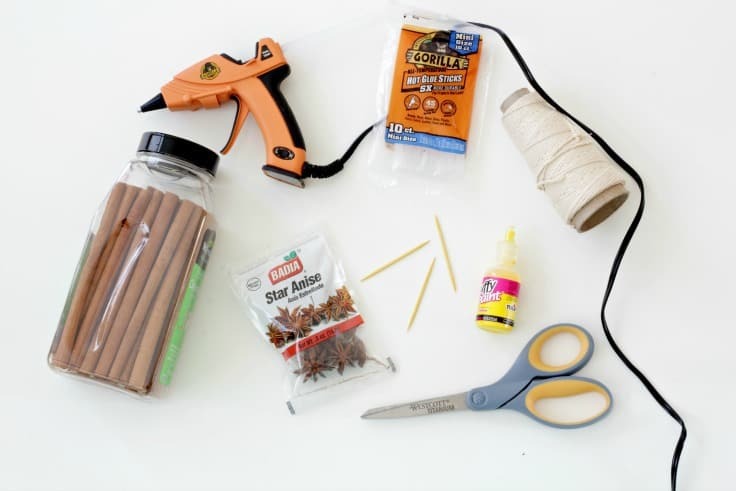 Hold the toothpick firmly in place and, using the hot glue gun, glue the toothpick and the twine so that it has no chance of moving or coming undone. Once the glue on the toothpicks and twine has dried, you are ready to glue on the anise. 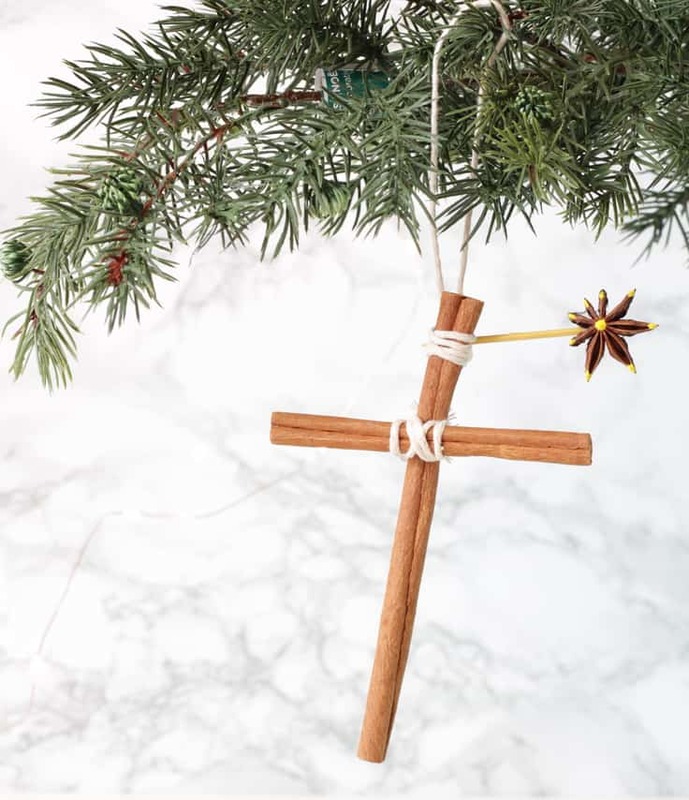 Place a drop of hot glue on the BACK of the anise star and glue that star so that it is facing FORWARD towards the front of the cross. You want the front of the anise to be facing the “|X|” of the twine. Make sure to hold the anise in place while it is drying, otherwise the hold won’t be secure. Put a little extra glue on top of the toothpick and anise if you need to, on the back. After the hot glue has dried, use the puff paint to decorate the anise stars. I put a large drop of yellow in the center, with little drops on each of the anise petals to make it look like a twinkling star! Set aside (on your cookie sheet if you have one – cover with some paper just in case) and allow to dry for 24 hours. 6. Decorate your Christmas tree! Now you are ready to decorate your Christmas tree using your fragrant and beautiful handmade Christmas ornaments! I hope you loved making these homemade ornaments…leave a comment in the comment section below if you have any questions! If you liked this post, here are some other great ideas from Squirrels of a Feather. Sweet project that is fun for the kids to make! Love the way Marissa writes, and her humor is the best! “If you’ve got a problem, yo, I’ll solve it.” LOL! 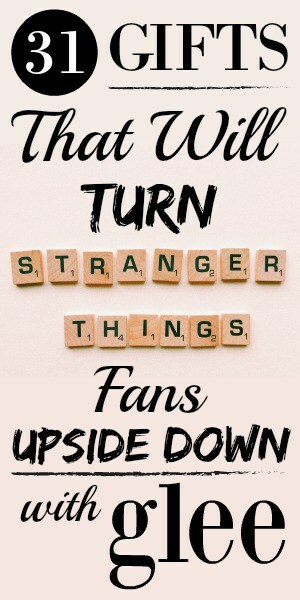 I agree! 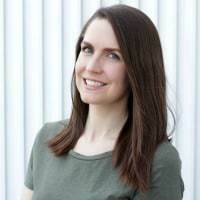 Marissa’s humor is one of my favorite things about the way she writes. She’s so engaging — and her photos are gorgeous too. Thanks for stopping by, Julie! Beautiful photos, Marissa! 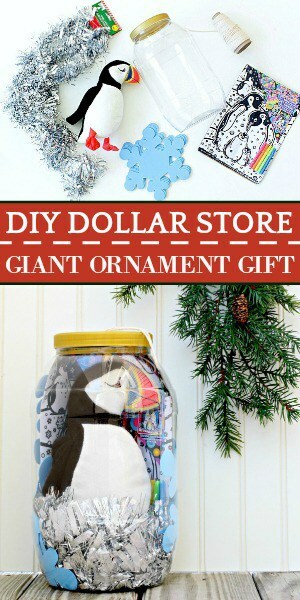 I love how simple these ornaments are (and kid friendly if you help with the glue gun!) and I bet they smell FANTASTIC!